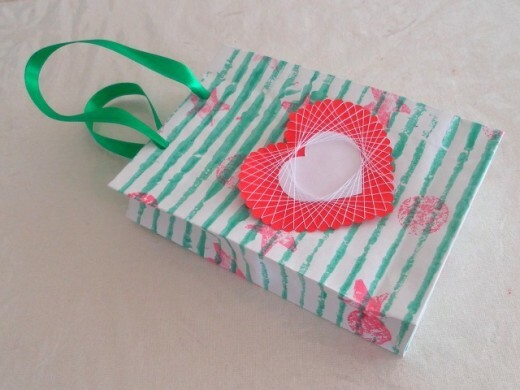 Thick drawing paper, cardstock or cardboard are best for this craft activity. 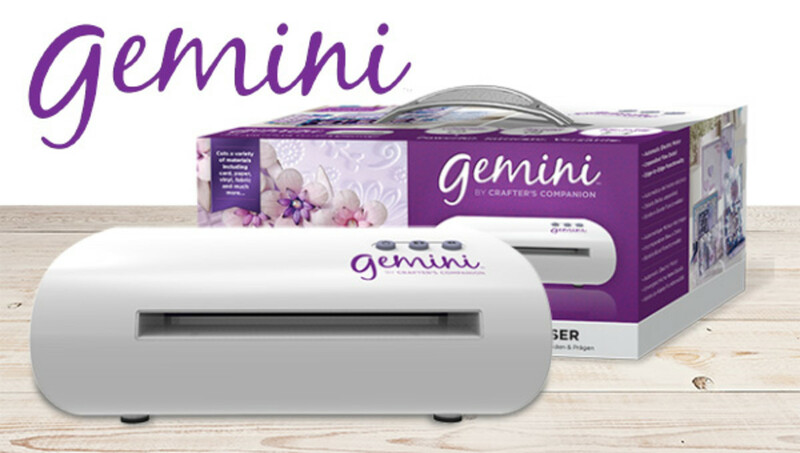 The paper must not bend or crease easily. Thread, string or yarn. Use sewing thread for making smaller embellishments. Choose different colours of thread and yarn according to your own preference. 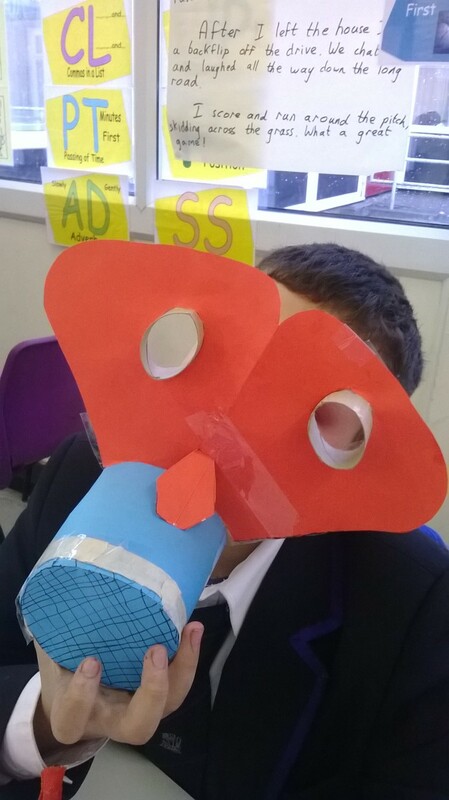 They are for cutting out the shapes. Decorative edge craft scissors are cheaply available and more versatile for this craft project. Mega craft punches are available but they are more costly and are limited to a few cut out shapes. I'll leave it up to you to choose whatever tools you want to use to make the shapes. For holding the thread in place. 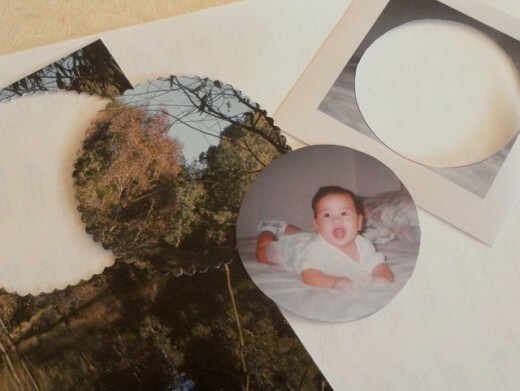 Trace out a circle on a piece of cardboard or thick drawing paper. Cut out the shape with a pair of craft scissors with decorative edge. Tape one end of the thread or string to the circle. Start winding the thread along the decorative edge of the circle, making sure the thread does not slip off. Continue winding the thread in the same direction around the circle until it comes back to the starting point. Tape the end of the thread to the cardboard and trim off any excess thread. 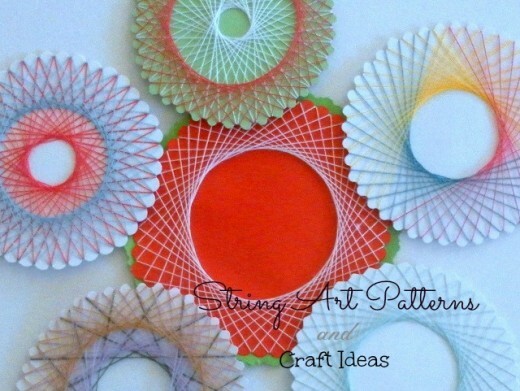 Spirelli String Art Patterns and Instructions. Decorate handmade gift bags and wrappers with your own creative spirelli patterns and other craft items and embellishments. Another interesting and easy project to make is a small photo frame with spirelli string artwork. Here's how you can make a great looking frame for your favourite photo. 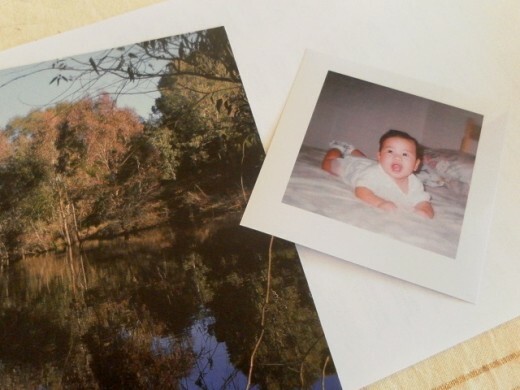 Choose a cardboard or thick paper for the frame. A nice printed cardboard (from a catalogue or calendar) can be used as a backing. It also makes the project a bit more interesting to work with. 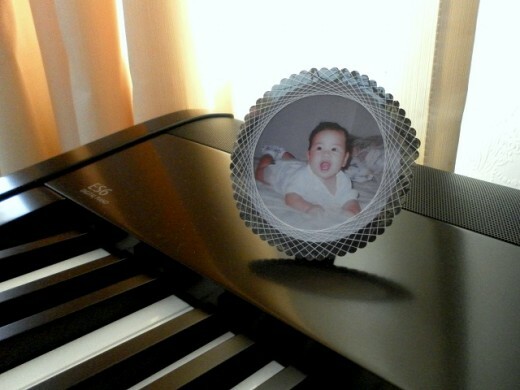 Choose the photo or picture you want to put on the handmade photo frame. 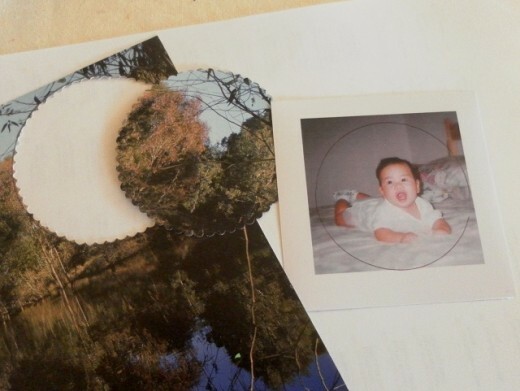 Draw a large circle on the cardboard and a smaller circle around the photo. The main subject on the photo should be in the centre of the circle. 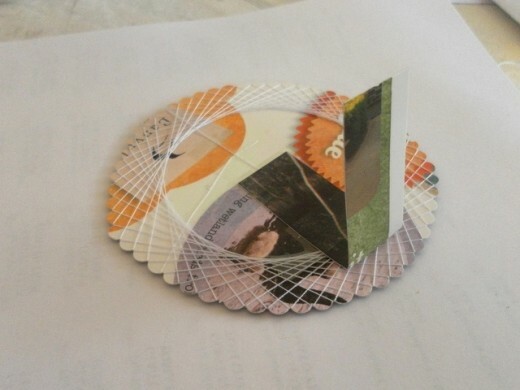 Use a pair of craft scissors to cut out the cardboard and normal scissors to cut out the photo. 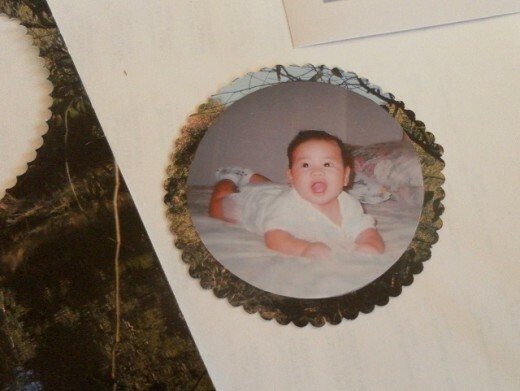 Paste the photo onto the cardboard. Tape one end of the thread to the back of the cardboard and start winding the thread around the two circles. Continue winding the thread in the same manner as described above until the spirelli thread pattern forms a border around the picture. Tape the end of the thread to the back of the picture to finish off. Cut a small strip of cardboard, fold it in half and tape one half of the strip to the back of the photo frame to make a stand. 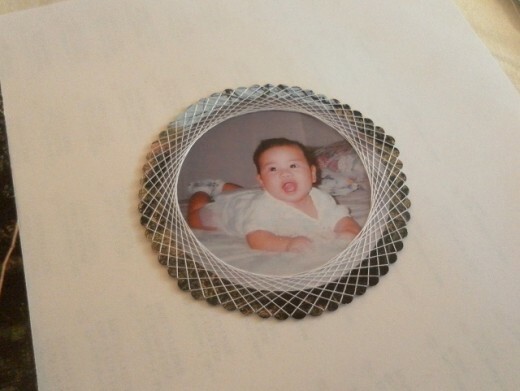 Alternatively, you can use an adhesive magnetic piece on the back if you want to display the photo frame on the fridge (like a fridge magnet). Handmade cards are easy items to make. 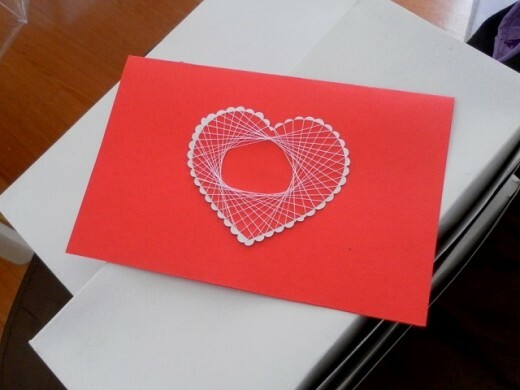 Incorporate spirelli string art designs and other embellishments on your handmade cards to make them extra special. A heart shaped cut out makes an interesting spirelli design on a card and it can be used for occasions like birthdays and Valentine's Day. 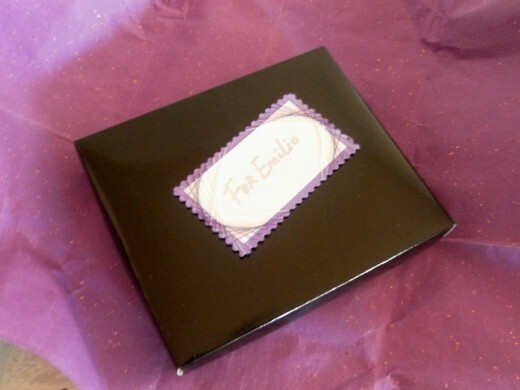 Customise your own gift tags with spirelli patterns and designs on them. You can use different shapes for the gift tags and create spirelli string art patterns accordingly to match the gifts and occasions. Never run out of bookmarks again! 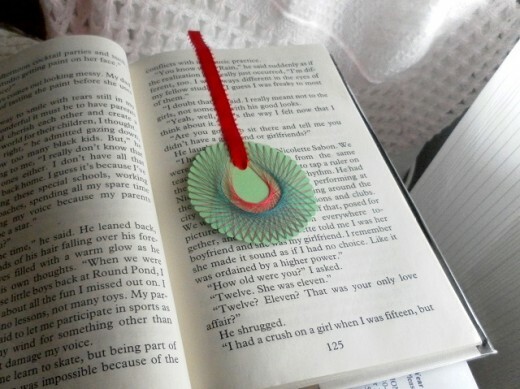 Make your own bookmark with spirelli string art and attach a ribbon to it. My handmade bookmark makes me smile every time I open a book to read. What do you think of Spirelli String Art? I used to do crafts like this when I was young. Spirelli String Art is my hobby! I've never heard of it but I might give it a try soon. I don't know why I'm reading this because I don't like crafts. Learn to make these awesome soap and ribbon handicraft decorations. Put them in each bedroom and enjoy the fresh fragrance in your house. Great gifts for family and friends. A tutorial on how to make tissue paper pom poms. randomcreative - yes, the techniques are simple for spirelli string art designs but a piece of cardboard and thread goes a long way! Thanks for leaving a comment here. So beautiful! You've presented just a few of the possibilities for this amazing techniques. There really is no limit to what you can do with it. Glimmer Twin Fan, thank you for your comments - I have the spam settings on to block off the 'bad guys' from posting here :) That's why you didn't see your comments earlier. Yes, I remember the spirograph toy. I think I bought one a few years back and it's gone missing again. I like your idea of making Christmas ornaments with spirelli string art. You can use metallic thread or Christmas coloured strings (for wrapping and tying presents) for your string art project, those ornaments would look awesome!! Thank you for stopping by again. BlossomSB, I learnt this spirelli string art when I was still in grade school. We had to colour the cardboards because we were not provided with coloured papers then. We tied knots with the thread because the school didn't want us to play with the sticky tapes! Hi lady rain - I could have sworn I commented on this hub. It's absolutely beautiful. I think they would make lovely christmas ornaments too. My daughter will enjoy this too. Kukata Kali - I'm glad you like this craft! peachpurple - your mom is going to love your Christmas gift, I'm sure it's beautiful! This is just beautiful. It reminds me a bit of that toy the spirograph which I enjoyed. This is more dimensional and I will definitely be doing this. They would make lovely tree ornaments. Thanks for a lovely hub. This is so interesting. Although I have done - and do - lots of different crafts, I have never tried this. The results are so pretty, I think I should try. Thank you for the ideas. I'm absolutely going to use this! Hezekiah, I am sure your daughter will enjoy making spirelli string art patterns. Thank you for stopping by. Excellent guide there. something to try with my daughter. Suzanne, thank you for your kind comment. I hope you get to make some amazing patterns for your father. An interesting and unique idea. I might make one for my father, who loves unusual string patterns like these.